NEW YORK, February 12, 2019	(Newswire.com) - As a wedding planner, event coordinator and globally enlightened organization, Colin Cowie Lifestyle has been a top celebrity choice for event, wedding and private function creation for a variety of individuals, companies and charities. As celebrity event planners, names like Jennifer Aniston, Kim Kardashian, Tom Cruise, Oprah Winfrey and Ryan Seacrest seek out their expertise. The team at Colin Cowie uses a very specific, carefully constructed approach that truly sets them apart. Designing an experience is something that relies upon the senses and according to experts, this involves appealing to all five senses. Whether acting as the top luxury wedding planner Los Angeles has, a private party coordinator in New York or a charity auction conductor, events should always produce and maintain a subtle but omnipresent message. The designers at Colin Cowie achieve that possibility by listening, reacting and responding to exactly what their client needs or wants. By matching that style or brand, their team can build an extravagant, immersive experience that provides an element to every sense. There are multiple services available from Colin Cowie and each one has something different to offer. Colin Cowie White caters towards the most seclusive, discerning clients and provides unpublished venues, opulent decor and the aura of haute couture delivered in a made-to-measure package. This is the once-in-a-lifetime event unreplicable, and lasting in memory. Signature Colin employs the direct skills and talent of Colin Cowie himself. As the creative nexus of both artist and architect, Colin applies his own personal experience and abilities to spearhead and deliver an exact vision. His exquisite personal touch adds just enough of an edge to conceive sophistication, authenticity and luxury. Lastly, they also provide Team Cowie, a group of professionals, designers and coordinators that have years of industry knowledge and have had the privilege of expanding their talents under Colin Cowie. They’ve become the benchmark of the industry and are fully capable of ushering any event from conception to execution. They share a single common goal--- ensuring your event is memorable and meaningful. Colin Cowie’s experience and reputation extends all across the nation as a premier event coordinator and wedding planner. New York, Los Angeles, San Francisco, Saratoga and Las Vegas have all hosted their events. 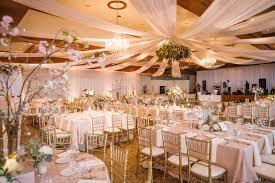 Anyone looking for event planners New York, LA, San Francisco and more should contact them today. Whether it’s a wedding, corporate function, gala or birthday party--Colin and his team are always ready to bring client visions to life. Colin is a global citizen in every sense of the term. Having traveled over 13 million miles and visiting nearly 100 countries, he creates excitement and finds inspiration wherever he goes.